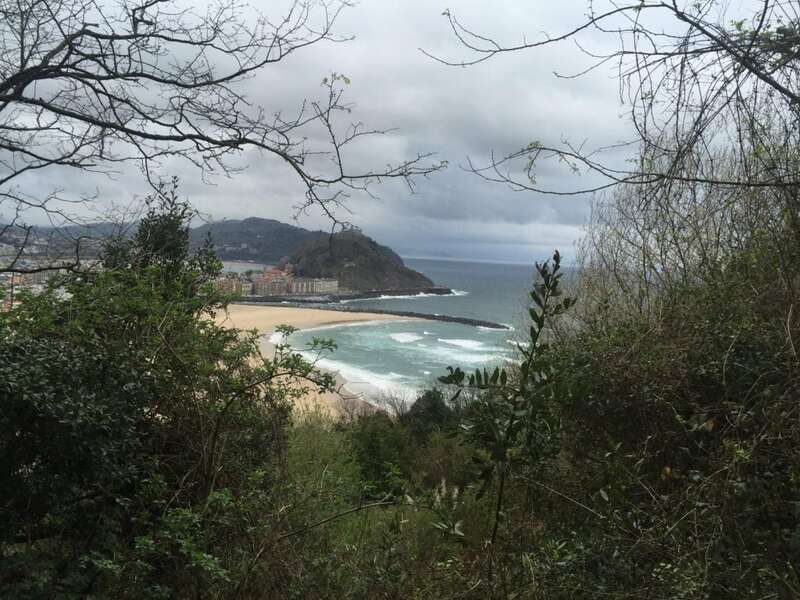 I don’t get to go hiking as often as I would like, so when I saw pictures of the San Sebastian coastline and found a half day hiking tour with San Sebastian Urban Adventure, I knew I had to do it. 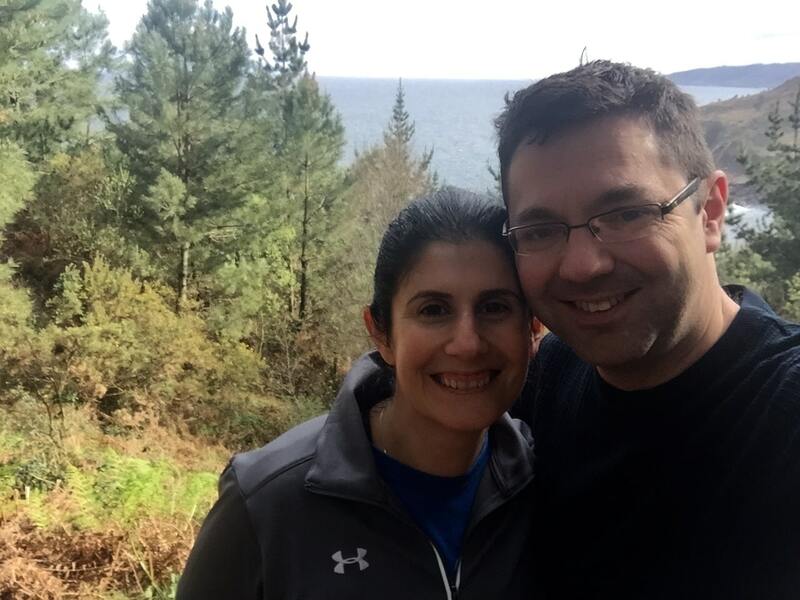 I love finding fun ways to fit in exercise while on vacation and “Hiking the St. James Way” was advertised as moderate intensity. 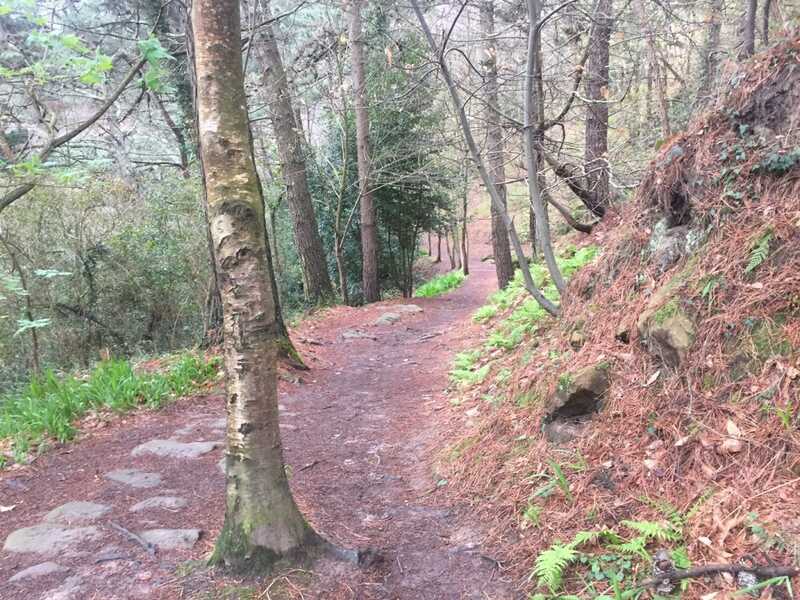 The St. James Way is more popularly referred to as Camino De Santiago, which is a famous pilgrimage route, but I didn’t know much about it before we went. The night before our hike it rained and there was rain in the forecast, so I was worried the the Camino walking tour would be cancelled. 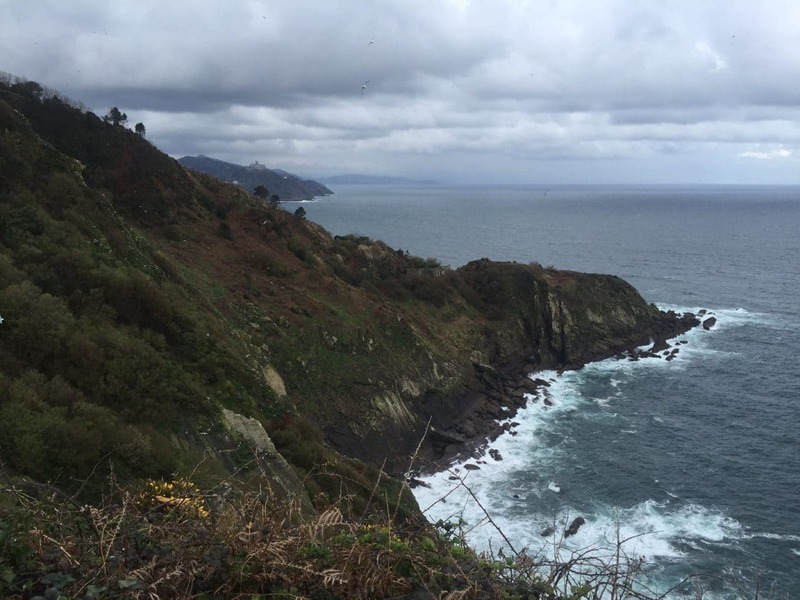 We really got lucky and had such a great time on our own mini San Sebastian pilgrimage. Just an example of the scenery along the St. James Way…. 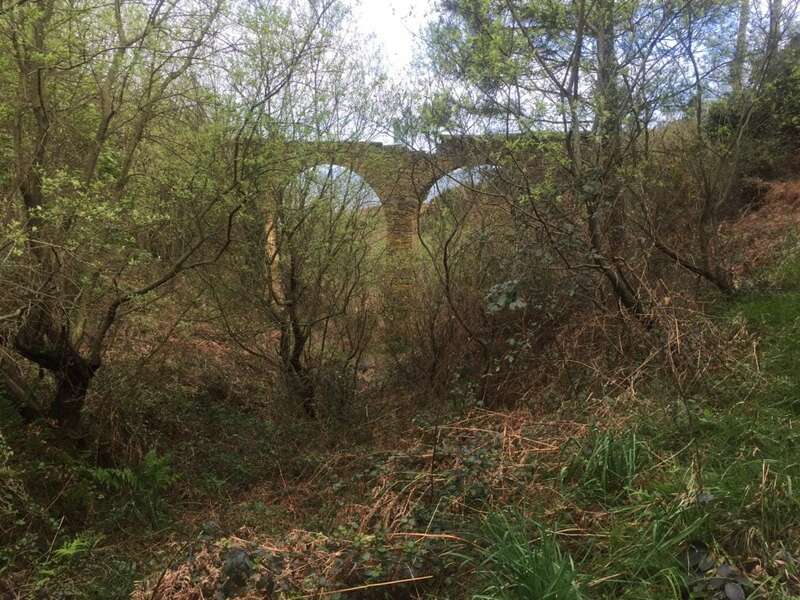 Love this old viaduct that we saw during our hike. We met Maria, who would be our Camino guide, at 8:30 am under the clock tower at the Mariaren Bihotza Church, which was about a 25 minute walk from our hotel. There was a gas station across the street so we picked up some bottled water. Right away we hit it off with our guide, she was so friendly and energetic, I knew we were going to have fun. It was a nice small group for the Camino Santiago walking tour, just myself and Russell and a couple from Melbourne, Australia – Aliesha and Adam. 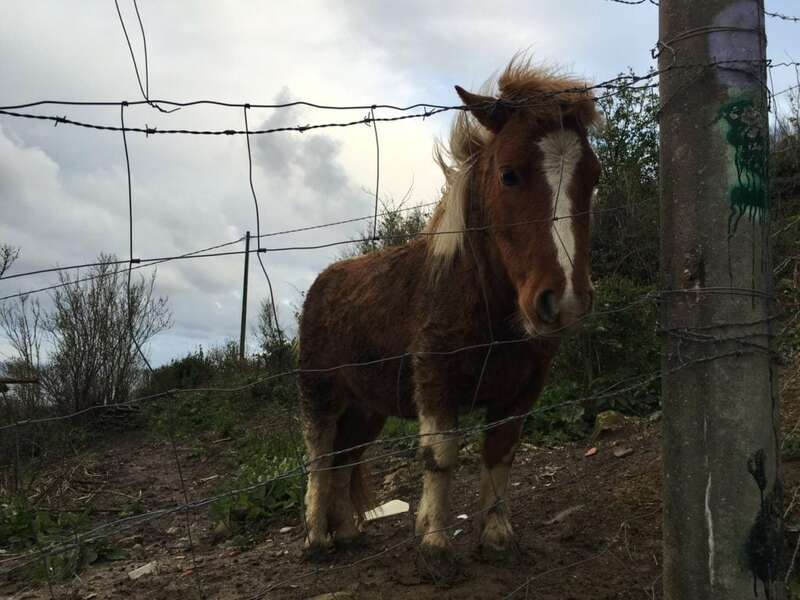 We saw a friendly pony at the beginning of our hike. So we were off. The website had mentioned the beginning of the hike is pretty steep and it was. There were a lot of stairs, but it wasn’t too bad, especially since Maria stopped us to show us ponies just beside the path. This part of the path was wide and paved. And we had our first of what would be many scenic views. The first of many scenic views! Then when we got to what seemed like the trailhead marked with a sign, the trail was no longer paved but it was clearly marked. Maria led the way and began to tell us about the Camino de Santiago, also known as the St. James Way. The Camino has existed as a Christian pilgrimage for well over 1,000 years! It was one of three Christian pilgrimage routes where you could earn a plenary indulgence. Pilgrims can take several routes to travel to the Cathedral of Santiago de Compostela in Galicia in northwestern Spain, where tradition has it that the remains of the apostle St. James the Great are buried. The Camino Frances (The French Way) is the most popular route. There are hostels along the way for the pilgrims to sleep. Pilgrims get a “passport” which they get stamped along as they go. They also carry a seashell which is the Camino de Santiago symbol. The scallop shell also acts as a metaphor for the pilgrimage. The grooves in the shell meet at a single point and represent the different Camino de Santiago routes pilgrims have traveled to arrive at the Santiago de Compostela. 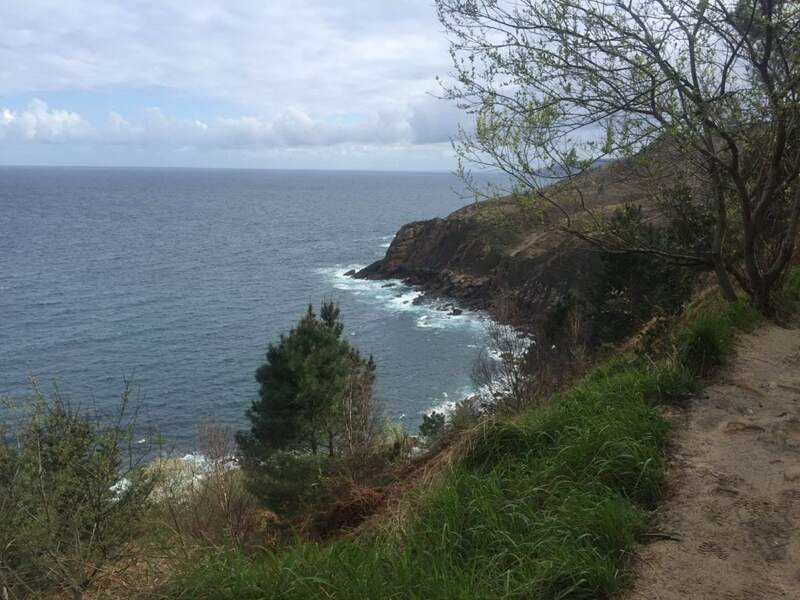 The Camino route our tour went on is called the Northern Way (Camino del Norte) and consists of 38 day hikes that cover a distance of over 800 km. It all sounded very interesting, but not something I would ever do. Who could take off that much time from work? 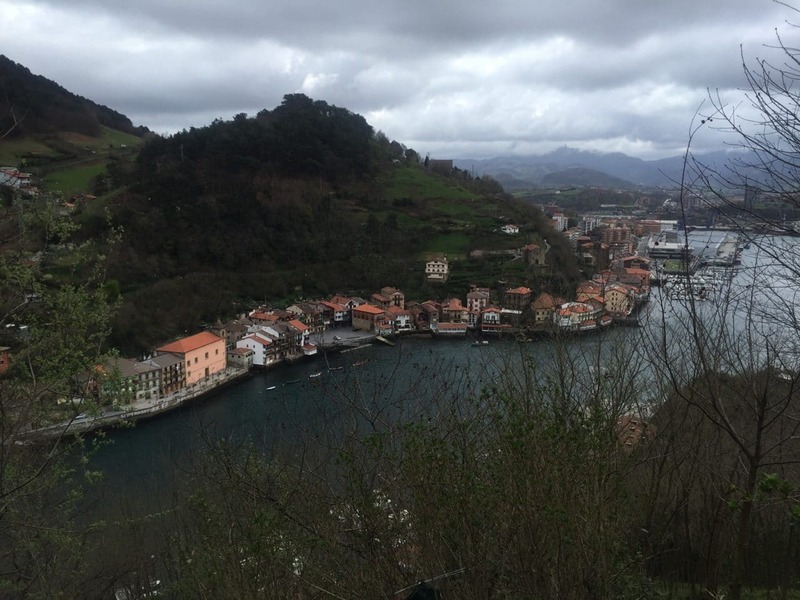 If you are interested in doing the whole Camino, check out these long distance hiking tips. 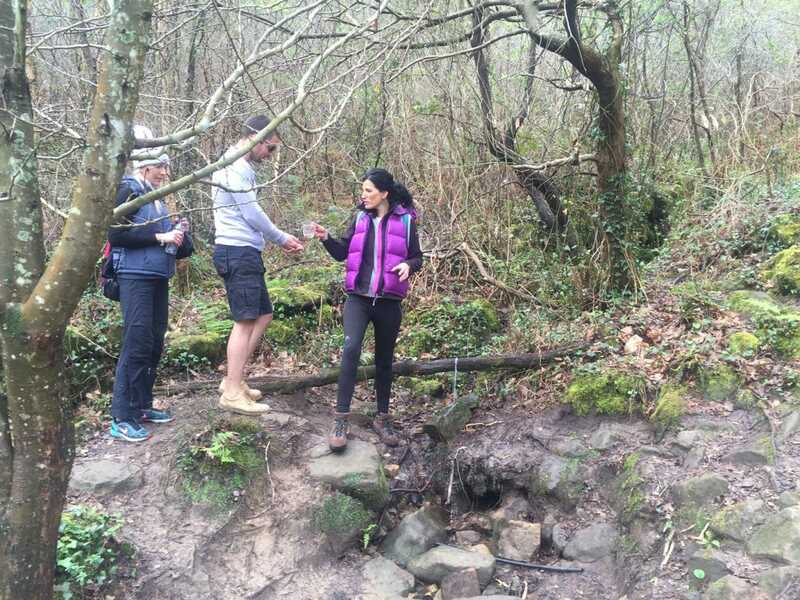 Our guide, Maria, explaining about the Camino de Santiago. Well, we learned pretty quickly there are a lot of people that do the pilgrimage. The first pilgrim we ran into was a lady probably about 40 years old from Germany, who was walking the Camino alone. She had a big backpack with a sleeping bag and showed us her Camino de Santiago shell. We should have asked her to show us her Camino De Santiago Pilgrim passport too. I didn’t think Maria was making the stuff up, but I didn’t realize until we met our first pilgrim, people do still really do this. We ran into lots of other pilgrims as we continued our hike. There was even one group of 50 of them! Some of the trail is right on the edge and the views are amazing. Some of the easier stretch of the trail. We also passed a spring on our hike. Maria told us about the 87-year-old gentlemen who created a fountain and even left a glass so that people could drink the water. I was a little hesitant to try it because I thought it might make me sick. Russell tried it and I am happy to report he was fine. Later on in the hike, we ran into the gentleman. Maria told us he does the hike every day. I could not believe that he was 87, he could have easily gone for 50. Maybe it is that special water? Adam tries some of the water. The hike took us about three and half hours with some ups and downs, then we had a 15 minute walk down a pretty steep but paved path to the fishing town, where we would catch a boat across to Pasaia. When we got to the boat dock, the boat was on the other side. Maria waived and the boat started to head towards us. But then there was someone on that side running for the boat. The boat hadn’t gotten very far but it did turn around for that person. Love this little fishing town along the water. How cute is this place! The town was just adorable like you had gone back in time. We found a pintxos bar and had a snack and some txakoli (pronounced CHA-coli), the local wine. It is a white wine that is poured from high above your glass. When the txakoli hits your glass it creates some bubbles. I really liked the txakoli and bought a bottle to take home. 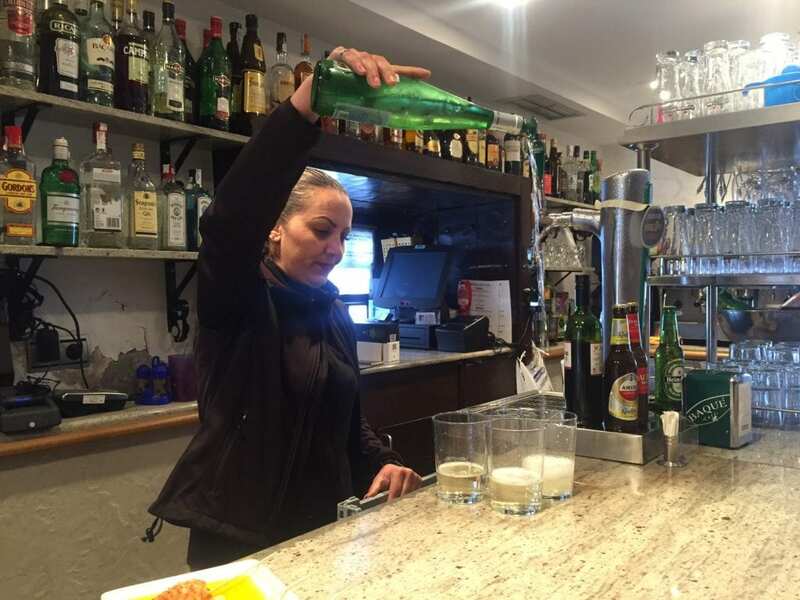 You have to pour the txakoli from pretty high up! 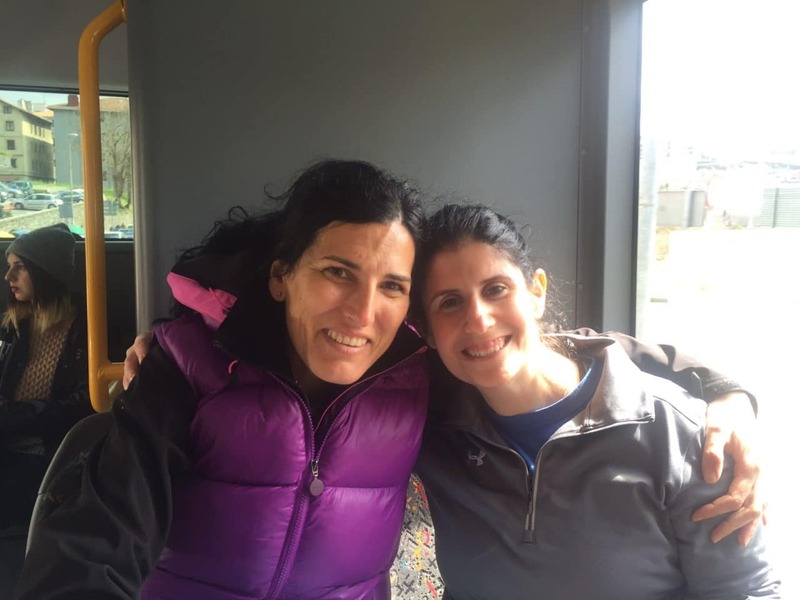 Anisa with Maria on the bus back to San Sebastian. Then it was time to take the bus back to the center of San Sebastian. We really had a great time on this tour and got a great workout at the same time. Plus, I have so many lovely pictures! 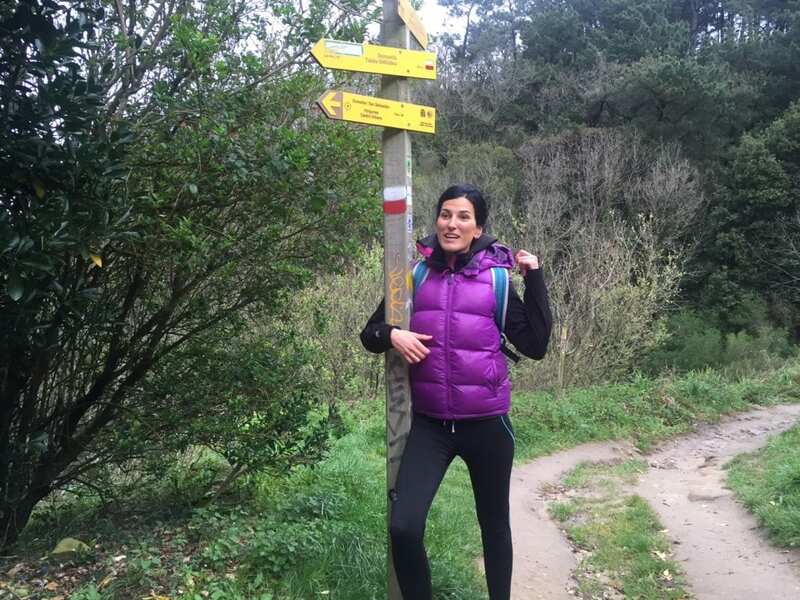 I’m not sure I would want to do the whole Camino de Santiago but the tour was a great way to get a glimpse of the pilgrimage and the spectacular scenery. Have you done the pilgrimage or would you like to do it? Or maybe you would prefer to do one of the Camino tours like we did? I have also heard of people biking the Camino de Santiago! I would love to hear your thoughts. Bring water and make sure you have appropriate shoes for hiking. The hike can be strenuous at times, but you can take breaks as needed. If you do decide to do the Camino, this packing list may be helpful. Our readers can get a 10% discount with San Sebastian Urban Adventures by using the offer code TTT. No financial compensation was received, but San Sebastian Urban Adventures did offer a discount on the tour. As always, opinions are my own. enjoyed this post. my dream is to hike the Camino some day. Thanks! Thanks Steve. Knowing you, you will make that dream happen. Good luck! Look forward to hearing about it. You have given me a great idea. I visited San Sebastian last October and I fell in love with the place right away. We only got to see the coast from the top of the funicular. Now, I know about this excursion for next time. Ruth – Glad to help. Yes, there is so much to do in the area, definitely worth a return trip. Beautiful blog! Loved the fishing village along the water’s edge! so european! Thanks so much! Yes, the fishing village was so cute. I really felt like I went back in time to a simpler way of life. I was surprised too. It is a beautiful hike. This has been on my list for a while but I always think I can’t take all that time off from work. But where there’s a will. Glad to ‘meet’ someone who’s actually done it. Yes I can definitely understand that. I just did the 3 hour hike and it was good to get a feel of what the pilgrimage is like. 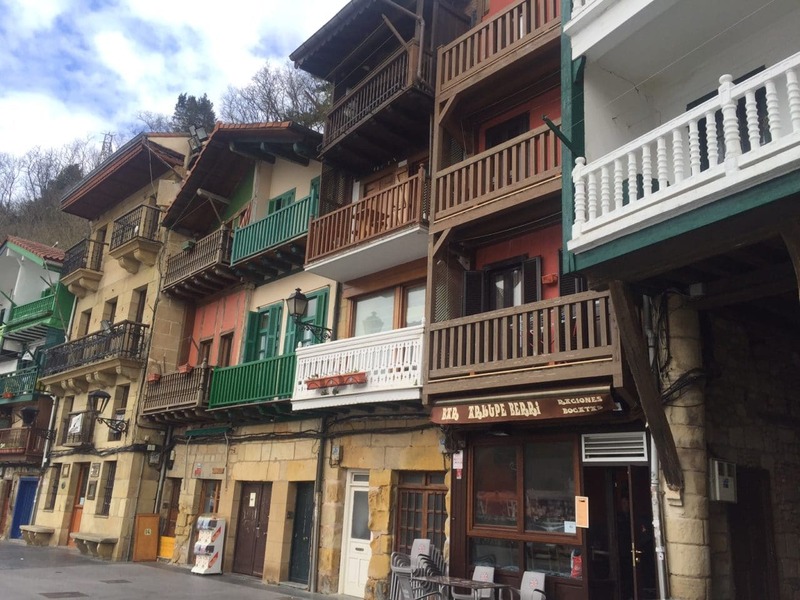 Vlad – you really must visit Basque Country! It is so beautiful and there is so much to do. Plus, the food is amazing? 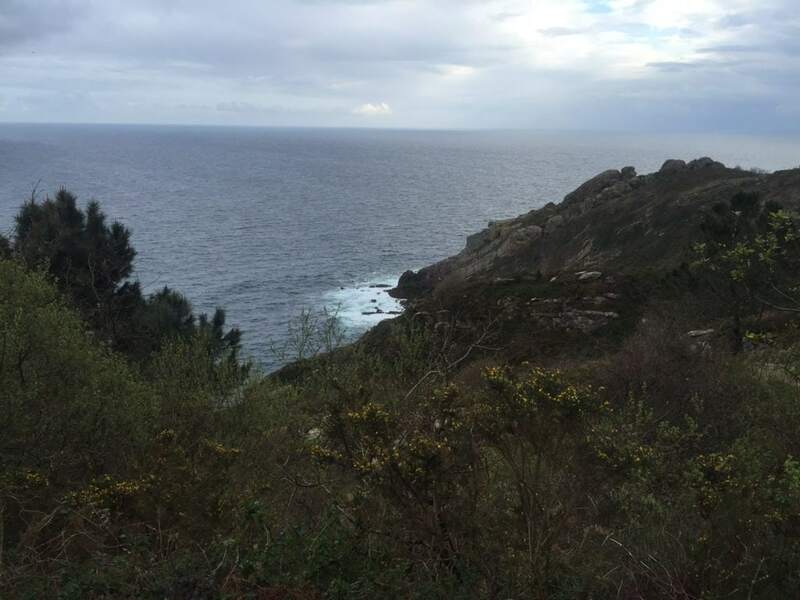 I walked half of the Camino Frances in September. I plan to do the other half next year. Eventually I’ll walk the Norte. I’ve been to Santander and Gijón and the Cantabrian coast is amazing. I could definitely walk a day trip like you all did. It sounds great! Lydia – Excellent, I’m sure it was an amazing experience!